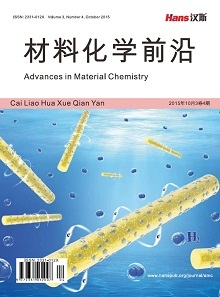 >In order to develop a new degradable biomaterial with both good biocompatibility and mechanical pro- perties, blended fibers composed of silk fibroin (SF) and poly(ε-caprolactone) (PCL) were fabricated by electrospining technique in this study. Confocal laser scanning microscope, scanning electron microscopy, cell adhesion rate and MTT (3-[4,5-dimethylthiazol-2-yl]-2,5 diphenyl tetrazolium bromide) assay were used to analyse the cytocompatibility of SF/PCL electrospun fibers, and to study the influence of the SF/PCL blend ratio on L-929 cell adhere and proliferate. The results showed that cells on the SF/PCL electrospun fibers surface can adhere and proliferate, and the cell number increased with the prolongation of the culturing time. The rate of cell adhesion and proliferation cultured on the SF/PCL electrospun fibers with the ratio of 70/30 and 50/50 was higher than other SF/PCL blend ratio electrospun fibers. Vepari, C. and Kaplan, D.L. (2007) Silk as a biomaterial. Pro- gress in Polymer Science, 32, 991-1007. Altman, G.H., Diaz, F., Jakuba, C., et al. (2003) Silk-based bio- materials. Biomaterials, 24, 401-416. You, R., Zhang, Y., Liu, Y., Liu, G. and Li, M. (2013) The degradation behavior of silk fibroin derived from different ionic liquid solvents. Natural Science, 5, 10-19. Chong, E.J., Phan, T.T., Lim, I.J., et al. (2007) Evaluation of electrospun PCL/gelatin nanoﬁbrous scaffold for wound healing and layered dermal reconstitution. Acta Biomaterialia, 3, 321- 330. Koh, H.S., Yong, T., Chan, C.K., et al. (2008) Enhancement of neurite outgrowth using nano-structured scaffolds coupled with laminin. Biomaterials, 29, 3574-3582. Ryan, S.V., Calligaro, K.D. and Dougherty, M.J. (2004) Mana- gement of hemodialysis access infections. Seminars in Vascular Surgery, 17, 40-44.